A toy is a right of passage. No man goes through life without the rapture of a toy. Such has formed countless of childhoods. 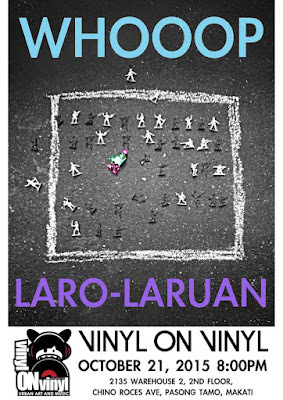 Vinyl toys, stuffed toys, dolls and robots, plastic cars and kitchen sets: symbols of the carefree and the imagined. Often equated with bliss, toys are an escape from the dreary shades of the mundane. But beyond the reveries of childhood innocence is a parallelism with the tainted realities of modern day, an age where decay and corruption is all but void, and a time where the lives of many are played with. 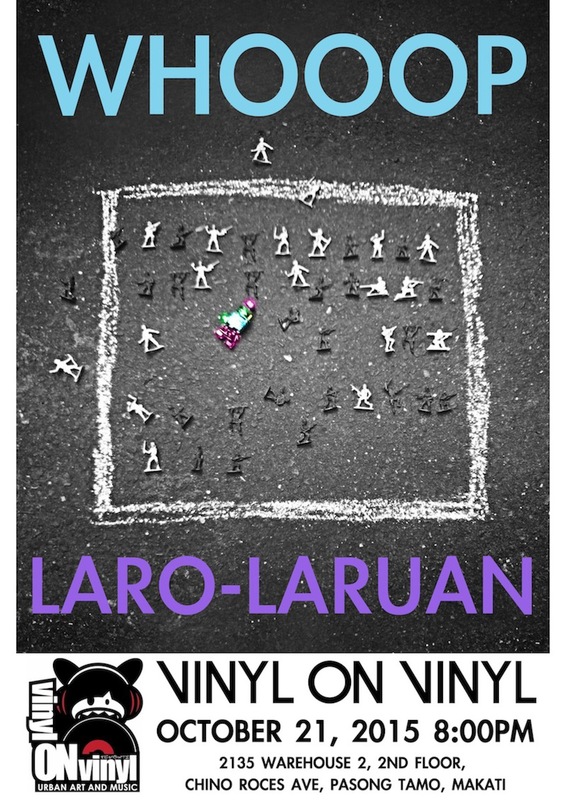 Whoop’s Laro-laruan is a reflection of the irony in child’s play: that like children, the freedom we feel in play always comes with a duality: that beyond our playpen is a constricted freedom, a world where we both serve as the player and the played. Through the totems of our childhood, Whoop reminds us that toys aren’t always about fun and games.